The target of KCOMNET’s activities are spread out in all 47 counties in Kenya that are served by community radio stations. KCOMNET is currently engaged with over 22 community radio stations spread out in 8 counties in Kenya. Working with the 22 community radio stations is only a start. Eventually, KCOMNET activities will reach out to all the registered community radio stations in the country and even the upcoming ones in all the counties in the country. Koch FM was founded by 10 young activists and registered as a community based organization in 2006.It is located in Korogocho slum, Kariobangi North and broadcasts within a 30 KM radius. Koch FM was primarily established to tell the stories of the community and the individuals living in Korogocho slums. Their express mission was also to was also to provide a platform for Korogocho community to address their issues through information sharing, education and communication. 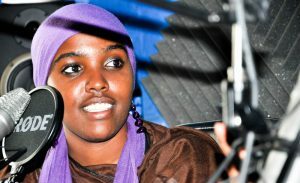 Baliti FM is a community radio station located in Isiolo town and broadcasts in a geographical reach of 130 KM radius. It was started in 2012 by the Foundation for Women Pastoralists (FOPAWO) in collaboration with the local community. The establishment of Baliti FM revolved on the need to increase the voice and visibility of women and youths of Isiolo County in development processes and actions and to address issues on drought, cattle rustling and conflict challenges in Isiolo town and its environs. The Ekialo Kiona Suba Youth Radio or EK-FM is for-youth, by-youth community radio station on Mfangano Island, Homabay county. It covers a geographical reach of about 25KM. 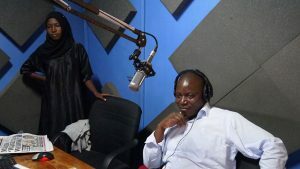 Producing their programs in Suba language, EK FM affords a unique channel to target the health crisis and marginalization of the Abasuba people through expression, solidarity, and revitalization of heritage and culture. MWANEDU FM is located in Voi town and covers Taita Taveta County and the surroundings areas in Coast region. 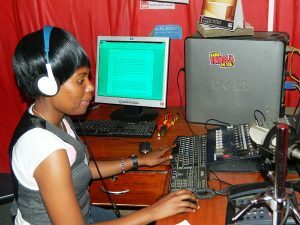 The radio was started in May 2007, and mainly broadcasts in Kiswahili, English and Kitaita languages. 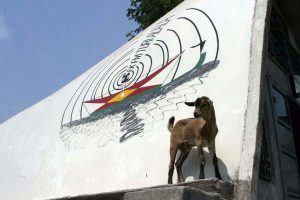 The aim of the station is to create awareness in the rural areas for the social and economic development of the region and of its audience. 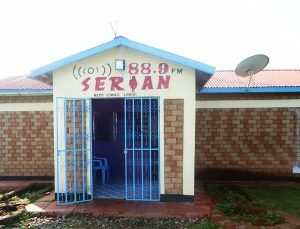 Serian 88.9FM is situated 3km from Maralal town in Samburu county and broadcasts in the Samburu language. The station was started by the Reto Women’s Association, Samburu chapter. The Reto Women’s Association brings together women of the Maa speaking communities. The station seeks to promote the Samburu culture and address issues affecting the community namely: Animal Health and trading, female Genital Mutilation, HIV and AIDS, tracoma, which is rampant as a result of flies. Flies are attracted because of the ways in which the community stores milk and blood, which are traditional foods, peace and conflict resolution. Conflict is caused by cattle rustling by raiders armed with machine guns and rifles and education, especially for girls. Pamoja FM 99.8 FM is located in Kibra, the largest slum in Nairobi. 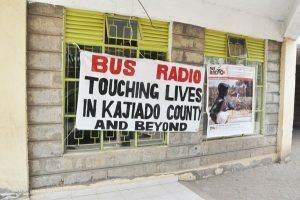 The station went on air in 2007 aiming to promote unity among the diverse ethnic communities living in Kibra, and to contribute to development through dissemination of education and information. Pamoja FM is a project of the Pamoja Development Centre (PADEC), a registered community organization. PADEC’s board (which is also Pamoja FM’s board) is elected by the community. Wajir Community Radio (WCR) was established in 2005 by Communities living in Wajir County. 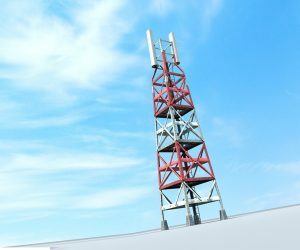 It broadcasts in a geographical reach of about 140KM using the following languages; Somali, Borana, Swahili and English. The Radio envisages addressing the challenge of creating an effective communication channel to the voiceless members in the society as an alternative to print Media. Enhance communication and advocacy among the pastoral communities of the county. This would enable them share their development agendas. 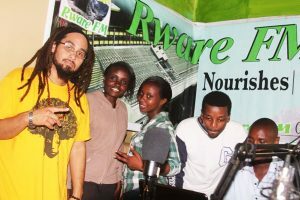 Rware Community Radio is a project of Rware Community Organization (RCO) of which it went on air in May, 2012.The radio covers a geographical reach of about 35KM radius. The radio station is based in Nyeri, and broadcasts in Nyeri county and its outskirts in Kikuyu language. Their main focus of the programs are: Current Affairs, entertainment; and agri-business. 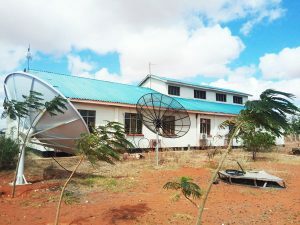 Mtaani Radio is based at Kabiria, Kivuli, centre in Riruta Satellite. It is a project of Koinonia Community under the stewardship of its program Koinonia Media Centre. The Radio station went on air in 2014 and covers a geographical reach of about 3KM radius. The radio intends to put its tools of communication into the hands of the youth who will develop, run and manage most of the programs to be aired by the radio. This is in acknowledgement of the growing number, needs and importance of the young people for the stability and future development of the community and of the country at large. 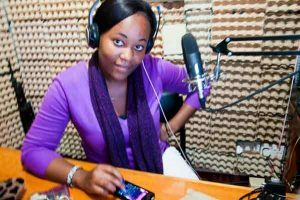 Bus Radio Media Services began in the year 2010 as a youth group of young professional journalists and activists. The community radio officially went on air in October,2015 and started to broadcast in Kajiado county. The vision of the community radio is to be agents of transformative change and development in Kajiado County. Their media programs are intended to empower, enlighten, inform and build the capacities of Kajiado County community through participation in live radio programs and public participation forums [barazas].